(Natural News) Turmeric is a superfood that has long been hailed for its numerous health benefits, which many people swear by. English television presenter and journalist Kate Quilton may be the latest person to join that ever-growing roster. On Aug. 28, 2017, Quilton dedicated an entire segment of her show “Superfoods: The Real Story” to discuss the purported advantages of this gold-hued spice. As reported by DailyMail.co.uk, Quilton explained that her interest in turmeric stemmed from an accident that had occurred in 2016. She fell down a flight of stairs and sustained a serious back injury when two of her vertebrae fractured. Though she underwent physiotherapy, Quilton stated that she attempted to incorporate turmeric into her meals in “as many weird and wonderful ways as possible” after she came to know of its healing and anti-inflammatory effects. Quilton recovered in due time — but did turmeric have a hand in her improvement? She traveled to India to find out, and the scientists she had met there confirmed that turmeric did indeed play a role. So much so that they advised viewers of the program to consume at least 1.5 teaspoons of turmeric a day to reap its benefits. Nowadays, everyone knows that turmeric is more than just the main spice of curry dishes, but what is it about this spice that makes it worth singing praises about? The answer lies in turmeric’s antioxidant polyphenols. Known as “curcuminoids”, the most abundant and famous of these substances is curcumin. 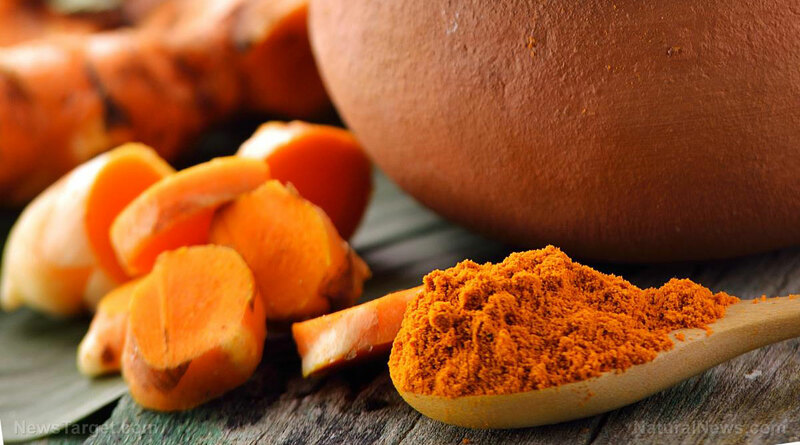 While there’s no denying that turmeric is a truly wonderful and beneficial superfood, it does suffer the unfortunate side effect of having poor bioavailability. This means that the body has difficulty digesting, absorbing, and getting the most out of the nutrients of turmeric. So even if you religiously consume that recommended 1.5 teaspoons everyday, you’re just shoveling down a delicious spice without enjoying what it can do for you. Luckily, there’s one easy way to get around this. You don’t even need to make a trip to a specialty grocery store for you to increase the bioavailability of turmeric; you just need to pop out some black pepper. Yes, perhaps the simplest and best way to make turmeric work for you is to combine turmeric with black pepper. Similar to how turmeric has curcumin, black pepper has piperine to thank for this. Piperine is a compound that gives black pepper its flavor and makes it the perfect partner for turmeric. By lowering the rate by which curcumin is metabolized in the digestive system, piperine essentially stretches out the time that curcumin spends in the intestines, giving our guts the opportunity to absorb this important substance in its active form. Piperine also hinders the metabolizing action of certain enzymes that would otherwise break down and suppress the efficacy of curcumin. So before you decide to add turmeric to everything, be sure you have some black pepper at your side. Pre-ground pepper will suffice, but grinding your own peppercorn is even better, especially if you want that added shot of flavor along with your meals. If you’re interested in doing some further reading on the wonders of turmeric, then simply head on over to Turmeric.news for even more stories.